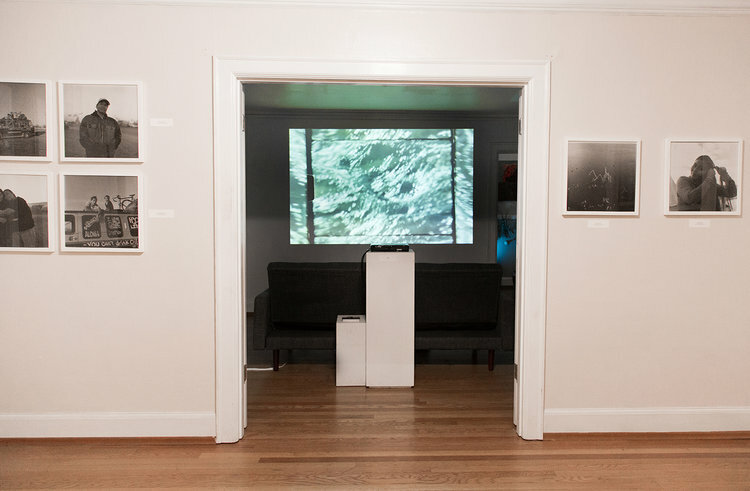 Sierra Stinson is a Northern California native and independent curator. Sierra is the youngest of three, doesn't drink coffee and sings 'and she was' by Talking Heads at karaoke monthly.. She is the founder and co-curator of Vignettes Gallery and has co-curated and produced the art fair satellite Out of Sight 2015-2016, ONN/OF: A Light Festival, Show & Tell (NYC), NEPO 5k Don't Run 2012-2015, and City Arts Festival 2011-2012. Sierra is the Art Director of Seattle-made clothing company Prairie Underground, and has worked to provide spaces for under-represented artists to exhibit in the Pacific Northwest since 2010. 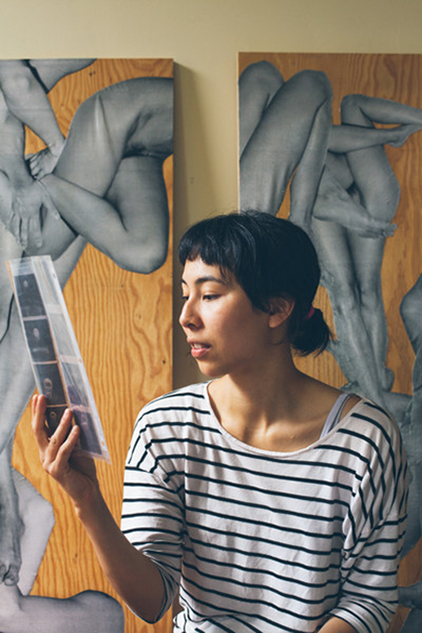 Serrah Russell is a Seattle-based visual artist and independent enabler of artists. Her practice is a constant exploration of the photographic image and its ability to evoke memory, emotion and association. Russell uses instant film, found imagery and digital photography to create works of collage, sculpture and video that alter the original intention of the source material. In her work Russell seeks to encourage empathy, to evoke the feeling of being in the right place at the right time, and to recall the déjà_vu of a dream. As an enabler of artists, Russell co-founded and directed exhibitions for Violet Strays: an online curatorial project from 2011 - 2016, has worked as managing partner and curator of Vignettes with Sierra Stinson since 2015, served on the NEPO 5k curatorial team for 2014 and 2015, and currently works as Art Director at the photography startup Prints.ly. Rafael Soldi: Tell us about the origins of Vignettes. Sierra Stinson: It began in my studio apartment in 2010, at the time I was about to move to NYC and I had been curating at Joe Bar, the last exhibit I conceived was a group exhibition called ‘A One Night Stand.’ It prefaced the one night only exhibitions of Vignettes which was born the following month. I had decided to stay in Seattle, I was in love and inspired, my home already looked the part of a gallery, nearly empty with white walls and room for an artist’s creations. I knew a solid handful of artists who recently were in a state of limbo, not represented but also contributing to a beautiful school of thought in Seattle’s art community, I wanted to provide a space to nurture them. I am so thankful I decided to stay; it introduced me to Serrah and maybe over 70% of the future Vignettes artists. RS: Vignettes has gone through an evolution throughout the years, adapting to both the needs of the community around it, and your own personal broadband as your lives evolve. How has Vignettes changed over the years and what are are the elements that make up its current iteration? (i.e. exhibitions, essays, studio visits, editions, marquee, etc). Vignettes ethos is to be malleable. Our intention is to enable space to creatives. And yes, you’re spot on about the personal broadband. It’s important for projects like this to adapt to those who are enabling them as well as for those who it is serving. If it’s too constrained, we would be burnt out. We will actually be shifting into a hiatus mode after the next few exhibitions and that break is essential to inform new ideas. We need to balance breathing in with breathing out. Vignettes as a venue has taken on many forms since 2010, from what began in Sierra’s studio apartment where everything including the bed was placed inside the walk-in to make room for the art, expanding to a one-bedroom apartment where the bed often became part of the work, art would spill from the living room / gallery area into the bedroom, kitchen, closet and even bathroom at times. 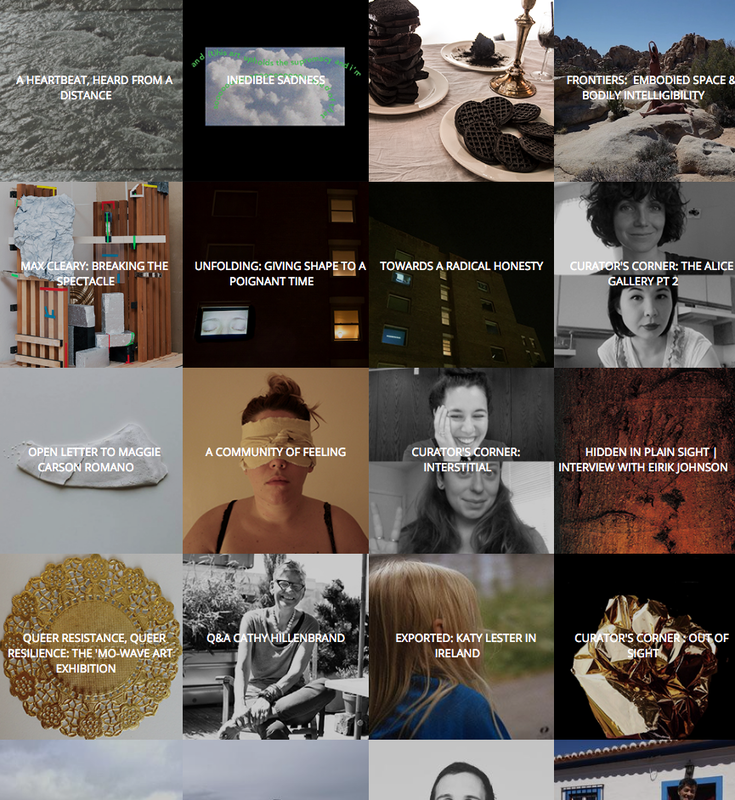 In 2013 we updated our website Vignettes.us and we began selling work as well as utilizing the website as a space for extended writing and additional imagery, resulting in interviews, exhibition essays, studio visits, and dialogues between writers and artists, along with local and national curator conversations. We both see the internet as a space for exhibition and to highlight art so it felt natural to use our Instagram account as a venue for artists to explore and express. 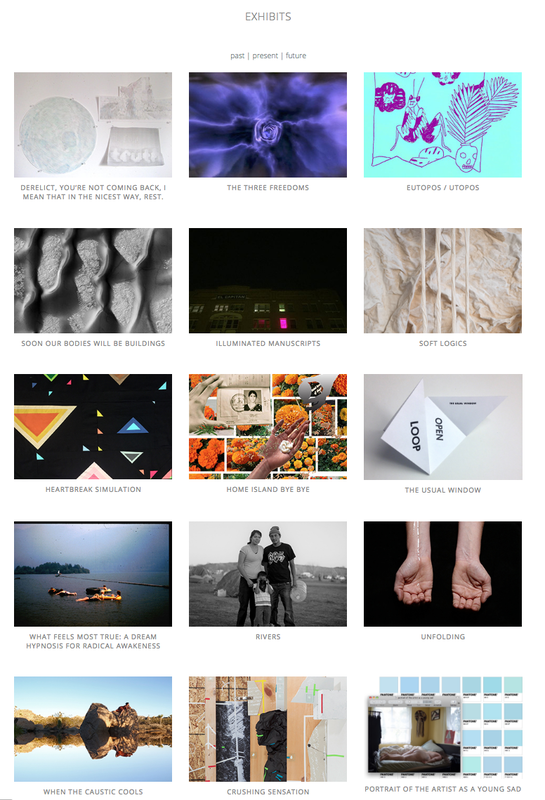 We began a consistent series of Instagram takeovers which we call ‘Vignettes Weekender’. A new artist is asked to post via our account their artwork / art practice Friday-Sunday of each week. This allows and asks us to step outside of our region and look into other cities and countries to expand our knowledge of contemporary artists. Last spring as an extension to artists who weren’t currently living in Seattle, we conceived the series Vignettes Marquee, a bit of an ode to Jenny Holzer’s ‘Truism’ series of text works on buildings and in theatre marquees. We invite artists to create site-specific work to be displayed in a window of an apartment or a storefront and then we invite people to stroll on by after sunset. We loved the aesthetic and creative potential for this type of work but also how it pushes the work out into the world and asked the artists to respond to the environment around them. The audience wouldn’t be restricted to their friends or those already in the know of the Seattle arts community, it could be anyone in the neighborhood, on their commute, heading to a date, walking their dog, anyone could have their route be slightly altered with these visual interventions. In recent years our definition of under-represented has meant more in a cultural capacity, rather than not being represented by a gallery. We want to consider enabling a space for those voices to be heard, not only in the arts, but everywhere. We have focused on representing more POC, queer and womxn creatives both in writing and visual art. There are a lot of cis-white male artists who we respect what they create but to be honest, they have their spaces, they always will and we can use our platform for other’s who aren’t given as much space so generously. RS: Is there an underlying thread connecting the type of work and artists that Vignettes chooses to highlight? Our individual art practices are focused on empathy and earnestness within their creations. Each artist we work with has those qualities about their own work. We are drawn to thoughtfulness, to an eternal optimism, rawness, to works where text and image collaborate. There’s certainly an emotional connection for us with our artists. We kinda fall in love with each of them and their work. We are able to show this type of emotional, almost confessional work, because we have structured Vignettes in a way that it isn’t dependent on sales, so the creations can be personal, performative or immersive. Producing them within alternative venues, homes, intimate spaces is also a large part of activating the work, they become site specific in these landscapes and that adds to both the viewer and the artist’s experience. RS: What are some of the challenges facing the art community around you and how is Vignettes actively addressing those issues? Serrah Russell: I think the arts community faces the same challenges that the world faces: Time. Money. Diverse voices. Honest Communication. Empathy. Kindness. Risk taking. Mindfulness. Sierra Stinson: I was recently reading a zine about Art during Fascism, and it states on the first page ‘don’t stop making art’ this is very important right now given our current political climate. RS: Two important constants since Vignettes' inception are that the works are only up for one night, and the artists are always commissioned to make new work. How did these parameters come about and how have they shaped your direction over time? This was a very organic process...the first artists to exhibit wanted to exhibit work no one had seen before and since it is for only one night they wished for the work to be a surprise to the viewer. Our marketing model is to show as little of the work as possible prior to the exhibit so people would be intrigued enough to attend and also potentially not know what they are getting into. We still believe in that model because with so little mystery in the social media world we still need mystery in art. A couple of years ago we worked with San Francisco-based artist Rumi Koshino, it was her Seattle farewell exhibition. She took an older piece of hers that she had labored over for her MFA, a giant scroll of mark making, she flipped it onto it’s back and sketched out envelope folds for people to cut the templates out. This is the perfect example of revisiting a past work and breathing new life into it. She took her own constraints, her own need to let go, to say goodbye and to release this creation that contained all of her process within it in a collaborative act. It was a rebirth and death in one motion. It is hosting exhibitions like this that made us realize we wanted to include written pieces as a partner to the work, to assist the creations to exist beyond the one night only context. We believe that limitations help to create more creativity and innovation. We see artists thrive when there is a challenge or a structure to rein them in and focus. We all have limitations and it’s what you do within those constraints that matter. Along with helping the artist, we see this structure encouraging people to show up and support art and artists more consistently because they know they have to do it now or not at all. It makes it very clear, either you attend or you miss on experiencing the work for that moment. RS: What does the future of Vignettes look like? What's on the horizon? This March is the end of our current season for both Vignettes and Marquee. Gretchen Frances Bennett will be the last of the series and it’s been refreshing to work with her again after all of these years, she was one of the first artists to exhibit in 2011 and we see her revisiting some of those past ideas in her present practice. We are both traveling this summer, planning to attend the once in a decade trio of large scale exhibitions Münster Skulptur Projekte, Documenta, and the Venice Biennale, along with potential residencies and collaborations. We don’t want to give anything away but the scope is changing for the both of us, personally and professionally. We hope that whatever is born out of the next year is something that continues to extend our practice but also is politically and socially relevant. Our birthland is in need of more spaces and support for those who it isn’t provided to so easily. Under the current presidency we don’t take our roles lightly and hope to use our own privilege to stand up for what we believe is important. It is both an intuitive and logical process and we are working every day to educate ourselves. RS: What would Vignettes do if you were gifted a million dollars? We have always had an idea of an artist’s artist grant. A grant where money is gifted to those who are working hard within the community and are often unacknowledged for their dedication to supporting other artists. We want to honor and support the creatives within a community who have been sustaining, supporting and creating the culture around them. In a way, it is inspired by Deed of Gift by Matt Offenbacher and Jennifer Nemhauser who very visibly exhibited what an artist who pays it forward to others looks like. In Seattle we’ve always noticed the pool to be very small for acknowledgement and funding and we would want to be able to give money to those who are rarely monetarily or publicly acknowledged for the work they do as practicing artists, as well as in support and collaboration of their community. Julia Freeman, Robert Yoder and Klara Glosova come to mind, as well as many educators who are class by class, student by student, building and supporting our arts community and too often described as “moms” and “cheerleaders” rather than the genius innovators and dedicated enablers that they are. We see you and we thank you.